On 27 February 2018, at around 6 a.m. local time, four darkly dressed persons hurled paint-filled bottles at the Turkish embassy in Berlin and then fled under the cover of a smoke bomb. 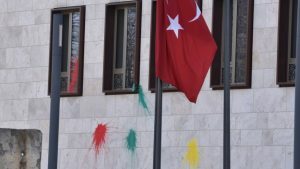 The attack left the outside wall and windows of the embassy splattered in red, green and yellow paint – the colours of the Kurdish flag. “We strongly condemn the colour bag attack on our embassy this morning which was presumably carried out by sympathizers of the terrorist organization. No official statement was issued by the Turkish Foreign Ministry in Ankara, indicating that the Turkish Government did not want the incident to further strain already strained Turkish-German relations. Where the receiving State has failed to protect the embassy premises against damage, it is under an obligation to make full reparation. In this situation, full reparation for the injury caused by the internationally wrongful act may take various forms: first, an expression of regret or a formal apology presented to the mission; secondly, the payment of compensation; and thirdly, a guarantee of effective protection against any repetition of the incident. The crucial question was thus whether Germany had failed to fulfil its obligation under the Vienna Convention on Diplomatic Relations to protect the Turkish embassy against any damage. The special duty to protect the mission premises against damage is an obligation of conduct, not result. 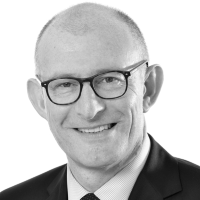 The receiving State must, in order to fulfil this obligation, take special measures over and above those it takes to discharge its general duty of ensuring order. The German Government could argue that by posting police guards at the Turkish embassy it fulfilled its obligation under the Vienna Convention on Diplomatic Relations. In any case, it would be for Turkey to prove that Germany failed to act with due diligence to prevent the attack on the embassy. There is no question of reversing the burden of proof in the context of Article 22 of the VCDR. Considering that, after Turkey had launched its military operation against the Kurdish Democratic Union Party (PYD) and its military wing, the People’s Protection Units (YPG), in Syria’s Afrin region on 20 January 2018, Germany had witnessed a growing number of violent protests by PYD/YPG supporters, and a number of mosques and facilities of the Turkish community in Germany had been vandalized by supporters of pro-Kurdish groups, additional security at the Turkish embassy might have been required under the due diligence standard. The German Government, as a rule, tries to avoid getting into a dispute over whether it provided adequate protection to a foreign mission by paying, on an ex gratia basis, full compensation for any damage to the mission premises caused by persons acting for political motives. Any ex gratia payments, however, are made on the basis of reciprocity only.